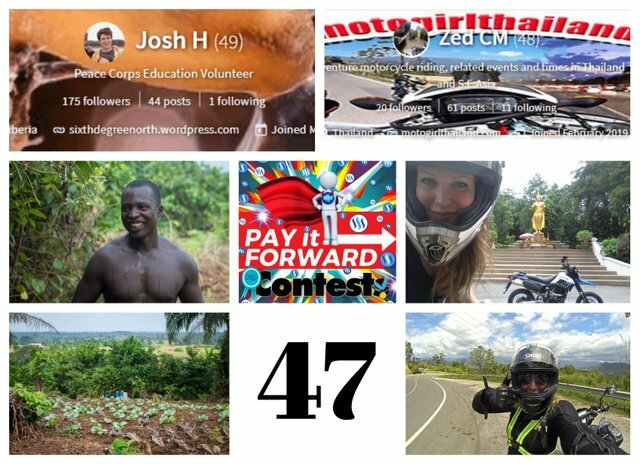 Here is my entry of 2 featured bloggers in week 47 of Pay It Forward curation contest organized and promoted by @pifc. My first featured blogger this week is Josh Himmel aka @jhimmel, who is currently in Liberia on his humanitarian mission. I have featured him before and was happy to see his latest post he posted couple of days ago. His stories are always very informative and give us insights on the life in general in Liberia, but also his work there in the community. Adventure is not excluded from the home – some adventures take place in within a 5-foot radius of the kitchen. Several culinary rendezvous have been nothing but adventurous. It all started with the boisterous bellied Bullfrog, was aided by the country Chicken, and now has invert(ebrat)ed into cooking the resilient Rhinoceros Beetle. The heavily armored, 3-odd-inch beetle makes for a savory delight that rivals that of the finest French cuisine. Attracted to light and perhaps the hum of generators, these horned giants can be collected by the bucket for the enthusiastic bug-eater. At present they are one of the most prevalent players in town, whether as fashion accessories or as leashed lurkers. My second featured author in week 47 of our contest is @zedcm, a motorgirl from Thailand, who has been living there for 12 years now. She explores areas solo on her motorbike and writes trip reports, route guides and POI's. To learn more about her check her #introduceyourself post below. 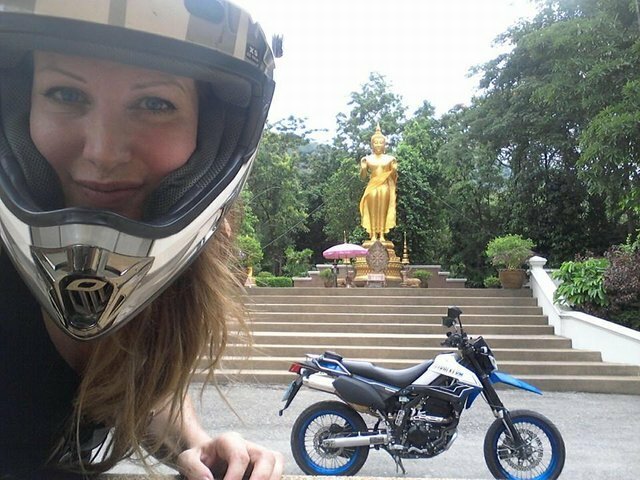 Featured post: Introduce Yourself - Zed CM / Motogirlthailand :) Hi! Hi all! I have been living in Thailand for 12 years, and hope to show the world some of the beauty and hidden gems in Thailand (and S.E.Asia) via my (mainly solo) travels on my Kawasaki Dtracker 250cc. Past, present and current travels. I'm a private individual, which is ironic given that I have publicly posted myself on the internet in recent years. I somewhat relate it to tasting something absolutely mind blowing and wanting others to enjoy it. So, my putting myself "out there" is less about me, and more about wanting to say "look at this beautiful thing! Please drink it in!". @zorank, tvoja objava je dobila 100% upvote od @teamslovenia! Thank you for your entry. Both of your bloggers have been upvoted and your entry for Curation Contest:Week 47 is confirmed. You got a 0.31% upvote from @minnowvotes courtesy of @zorank! Thanks for your support, @wolfhart. Great!! Two new people to follow!